South African Chef, Chantel Dartnall, shares the secret to her success and why she is the best female chef in the world. Chef Chantel Dartnall was named the World's Best Female Chef at The Best Chef Awards in Warsaw, Poland in 2017. “I didn’t have a clue that I would win. It was just a privilege to have been nominated with people that I have looked up to and admired from afar,” the 38-year-old chef says. This was not the only time the incredible chef put South Africa on the map. Dartnall has twice been named South African Chef of the Year at the annual Eat Out Restaurant Awards. She was also named the 2017 Chef of the Year for Africa and the Middle East by the prestigious Luxury Travel Guide Awards. 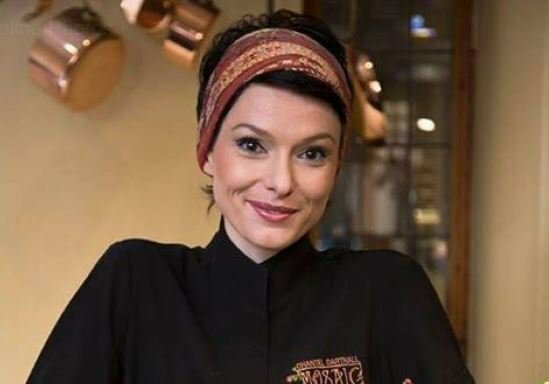 Her restaurant in Pretoria, Restaurant Mosaic, has also earned a 2018 Grand Award from the highly-acclaimed US publication Wine. Speaking about what makes her the incredible chef she is, Dartnall says she combines her classical French training with her love of nature. Dartnall says she is also inspired by her travels abroad and is passionate about using organic and seasonal produce with her innovative approach to food preparation and presentation. “For me it is vital to serve visually appealing dishes that tell a story and start stimulating diners’ senses from the moment the food arrives at the table,” the award-winning chef says. She adds that it’s important to enhance flavours of the ingredients you use. Dartnall says some of her favourite dishes include Song of the Sea (salmon, kombucha, yuzu); Some Birds Don’t Fly (ostrich, beetroot, plum); Tajine du Maghreb (capretto, prunes, argan oil) and The Clash of Constellations (passion fruit, mango, fresh berries). She also enjoys her mom’s cooking. She also says she can’t live without lemon grass and white Italian balsamic honey and avocado. She says she loves avocado “because no salad is complete without one. White balsamic because it is the perfect accompaniment to the avocado, and lemongrass because it is the essential ingredient to any good curry,” says Dartnall. Dartnall, who started cooking at age 17, says two chefs have inspired her to be the chef she is today. “Locally - Chef Margot Janse is a true culinary legend in South Africa, and with her innovative style of cooking she was one of the first truly Inspirational local chefs that established fine dining and introduced the concept of the tasting menu in South Africa." Dartnall says the biggest lesson she has learned since starting work as a chef is to be consistent. Her advice to aspiring chefs is “never be content with what you have achieved today. Be constantly in competition with yourself and always push to go that extra step further every day. Only then will you reach great heights,” advises the world-renowned chef. In the below video, Chef Dartnall prepares one of her favourite meals ‘By the sea side’.